The Karam Team wishes you and your families a safe and Happy Eid! 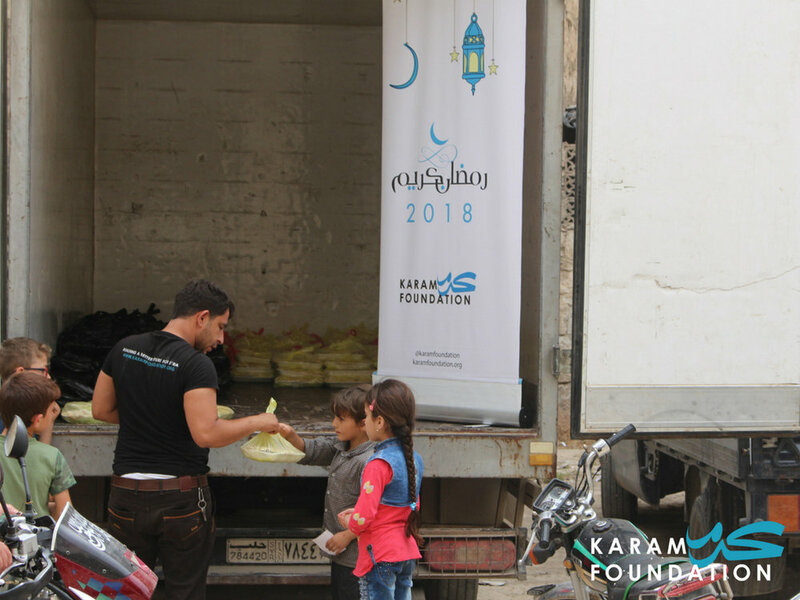 With your support this month, we were able to provide nearly 4,000 families that are internally displaced with food baskets filled with Suhoor and Iftar meal items as well as warm meals. Thank you for your continued support and generosity. Without you, this work would not be possible! 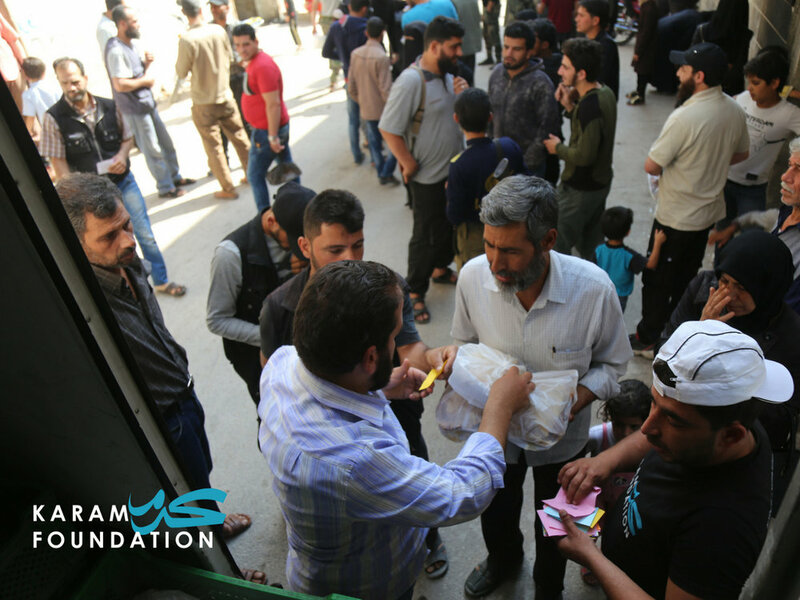 Scroll down to see photos from our Ramadan distributions across Syria! 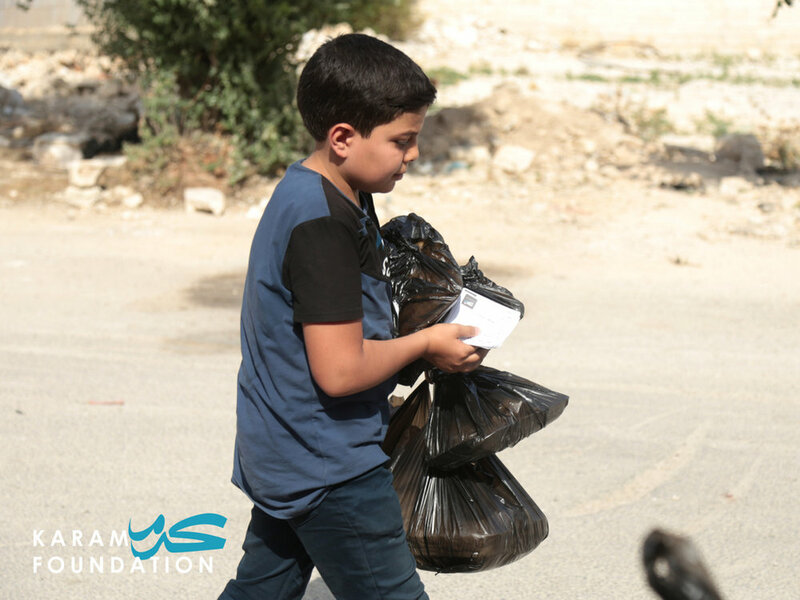 Provide internally displaced Syrian families with food baskets and warm meals for Suhoor and Iftar for the entire month of Ramadan. here's what we're doing this month! We are distributing food baskets and warm meals to 3,700 displaced families in Alatareb in Rural Aleppo, Saraqeb, Maarat Al Noman, and Ariha in Idlib. Each basket holds Suhoor and Iftar items that include: lentils, bulgur, oil, sugar, beans, cheese spread, ghee, jam, rice, and more! Food baskets last families for 1 month! Each family will receive 1 warm meal per week for the entire month of Ramadan! 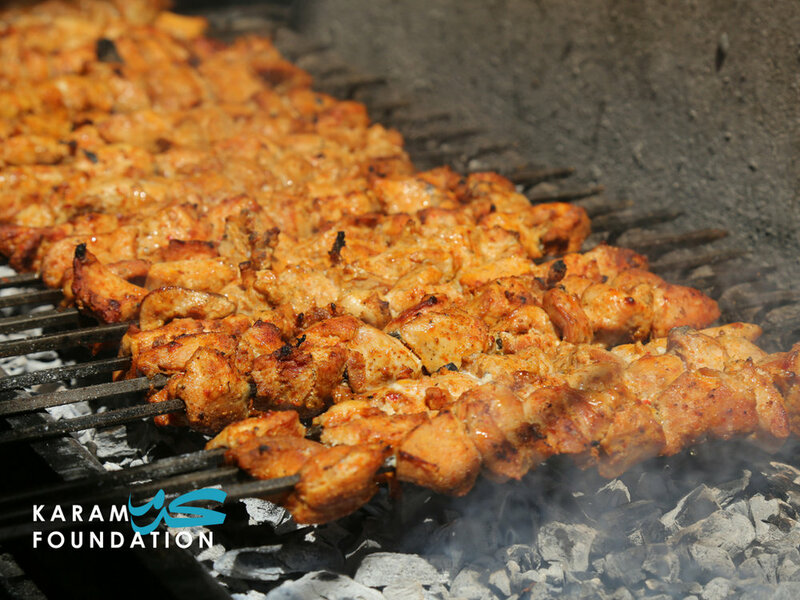 Host an iftar FOR KARAM THIS YEAR! 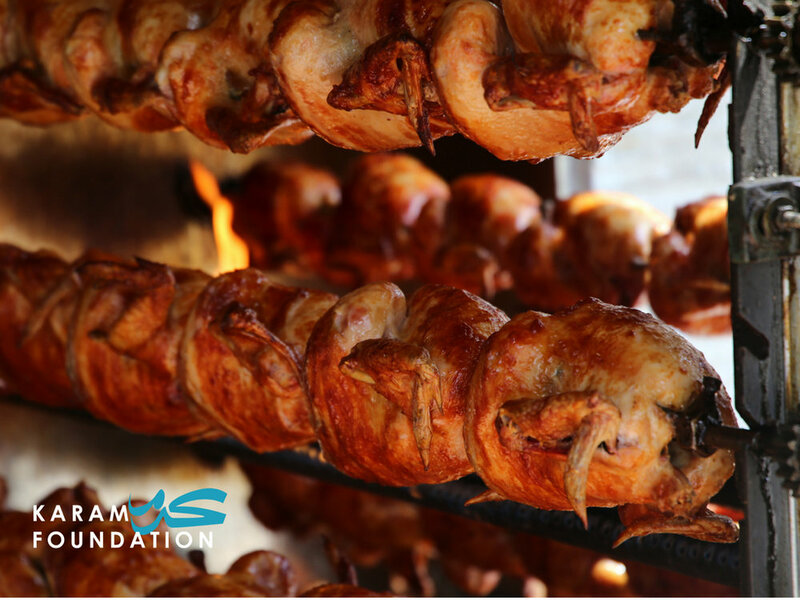 Dedicate your annual Iftar to helping Karam Foundation feed Syrians in need! This is the perfect opportunity to gather with friends and family to learn about our work and inspire others to give! Pull up Mama's favorite recipes, and get started! Host: set up your fundraising page here! Customize your page and let friends know why you're fundraising for us! Invite: tell your friends – we suggest creating a Facebook event and sharing the link to your fundraiser, there! Fundraise: be sure to encourage your guests to donate to your fundraiser before, during, and after your event! YALLAH! WHAT ARE YOU WAITING FOR? updates from on the ground! Meet Khaldiye, mother of 5 from Hamouriye, Eastern Ghouta. Khaldiye and her family currently live in Atareb camp, after fleeing intense bombardment in her hometown only 2 months ago. Her family is dependent solely on humanitarian assistance, as her children are too young to work and her husband unable to do so either. 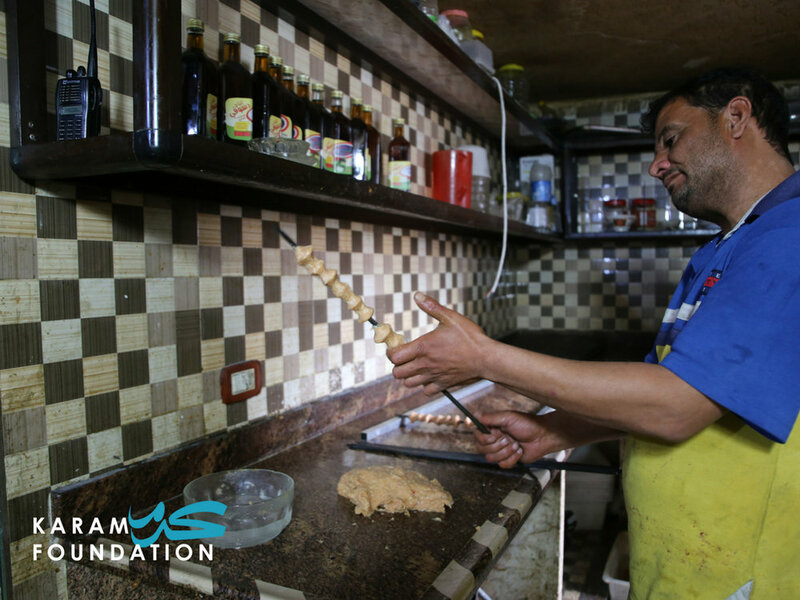 Meet Ghada, a mother of 4 originally originally from Haran Al-Awameed, Rural Damascus. Ghada and her family were displaced to Maarat Al-Nouman, Idlib only two months ago due to the incessant airstrikes and bombardment. Since displacements, the family’s living situation has been extremely difficult as her husband has not been able to find work. They are having trouble meeting the most basic needs for their children. Meet Roza, originally from Sanjar, Idlib, she and her 6 children were displaced only 2 months ago. Her husband was killed in the conflict and so she is left to hold the family together on her own. A LOOK AT LAST YEAR'S RAMADAN CAMPAIGN! 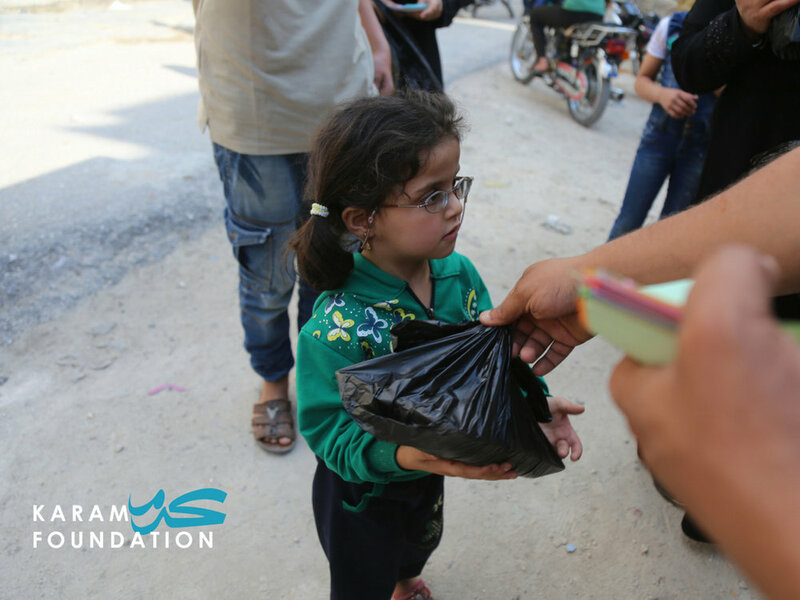 Donate today to help internally displaced families in cities across Syria celebrate Ramadan. Your generosity will provide families with nourishing Suhoor and Iftar meals that they can share with their families.